Last week I featured a poetry book that spotlights all of the American presidents, and this week I’m sharing another substantial poetry book. My America: A Poetry Atlas of the United States is compiled by Lee Bennett Hopkins and illustrated by Stephen Alcorn. The book is divided into eight sections based on the regions of the U.S.: Northeast States, the Capital, Southeast States, Great Lakes States, Plains States, Mountain States, Southwest States, and Pacific Coast States. Each section opens with a map and table of facts about each state in the region. This is followed by six to eight poems for each region (excepting the one poem for D.C. in the Capital section). Many of the poets whose works appear in this volume are unknown to me, but a few are readily recognizable: Nikki Giovanni, Langston Hughes, Carl Sandburg, and our old friend, Anonymous. 🙂 Lee Bennett Hopkins (who even has an award named after him) has a couple of poems in here, as do a couple of older children’s poets I recognize. Serve–and hate will die unborn. In or just under the Great World. Stephen Alcorn’s illustrations are painted using casein on paper with no “preliminary pencil sketches” so as to “surrender to the magic of each poem,” with each illustration “reworked” over time to the lovely, textured illustration reproduced in the book. 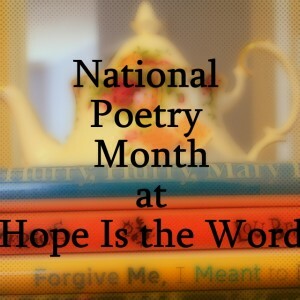 I’m blogging about poetry every Friday this month, and I’m linking this post up to Poetry Friday, hosted this week by Today’s Little Ditty. I might have to check that out for cycle 3 next year when we are doing mostly US history/geography! This sounds like a wonderful book for both learning and loving. Thank you for the review! Thank you, Amy, for the suggestion. I think we’re going to do a geography year next year, so this book will fit right in. We are huge fans of Lee Bennett Hopkins’ anthology of poems – this looks like another wonderful one. Will be on the lookout for this. This looks like it would be great for a school library. I just discovered there’s also a web site called Poetry Atlas (http://www.poetryatlas.com/) — that would be a fun place to go browsing! One of your other posts has inspired me to revisit The Chronicles of Prydian. I *loved* those books as a child but I haven’t been able to interest my kids in reading them (yet).